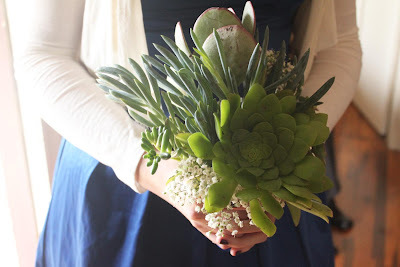 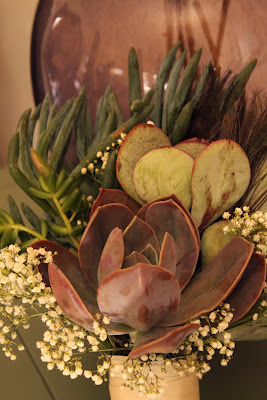 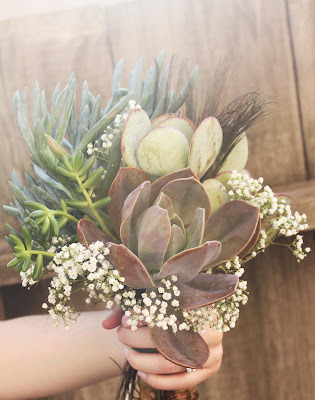 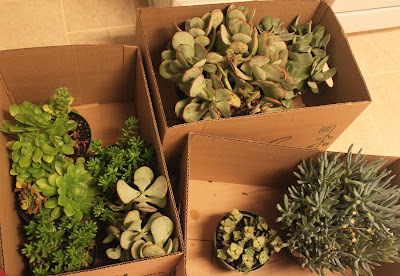 It took me a minute to play around with the thick stems and see how the different types of succulents worked together, but my favorite part was that the succulents weren't perfect or symetrical, which created kind of wild-looking bouquets. 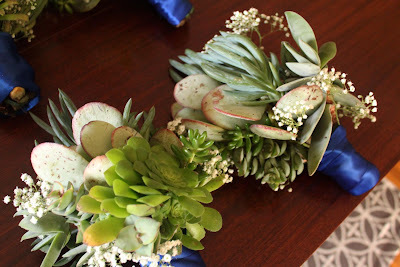 Soon enough, I had the bride's bouquet finished along with 6 bridesmaids' bouquets. 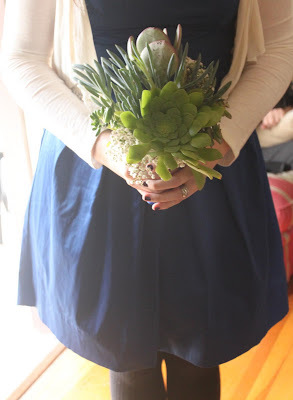 Here are some quick photos I took today, but I can't wait to see and share the professional photos from their big day.